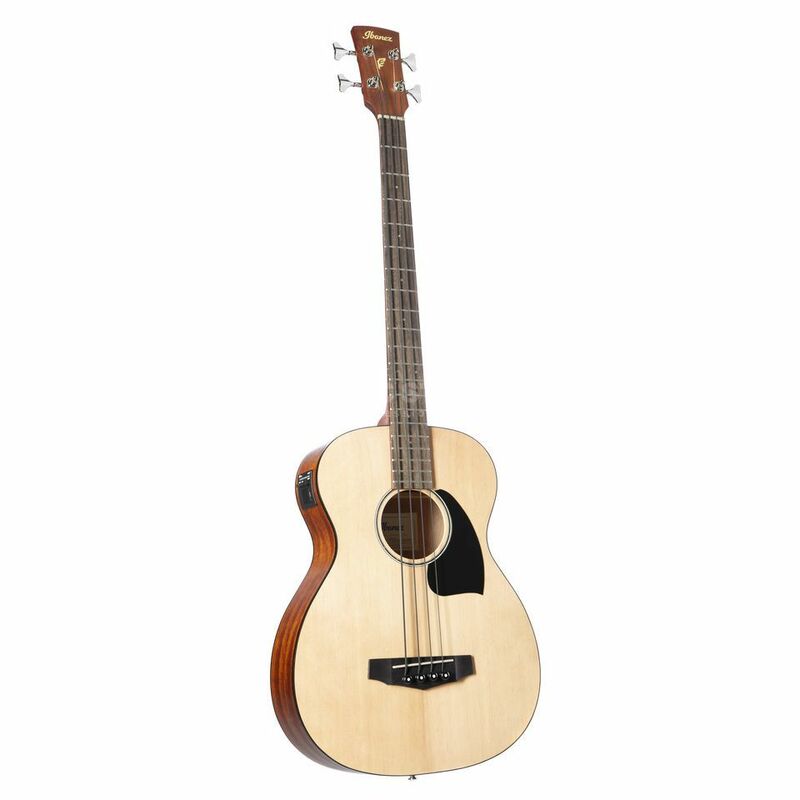 The Ibanez PCBE12MH Acoustic Bass Guitar Open Pore Natural is a 4-string acoustic bass guitar, featuring a mahogany body and neck, a rosewood fretboard and bridge, and an open pore natural finish. The Ibanez guiding philosophy for acoustics, "a modern approach to acoustic guitar tradition," extends quite naturally to their acoustic bass collection. With tone, style, playability at an incredible value, Ibanez acoustic basses are creatively inspiring tools designed to thrive in wide variety of musical situations. The PCBE12MH features a grand concert body shape crafted from mahogany connected to a mahogany neck and rosewood fretboard, containing 20 frets. This guitar comes with an Ibanez Under Saddle pickup with an AEQ-2T preamp with an onboard tuner and 1/4" endpin jack.